The Holdahl Company was founded in 1945 by Olaf Holdahl and has been supplying products to the woodworking community for more than half a century. Holdahl Company offers a diverse product selection allowing customers to find what they need from a single source. 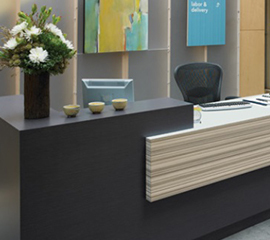 We are a master distributor of Formica brand products, which includes high pressure laminates, metal laminates, solid surface materials and other specialty surfacing products. We also offer the other products in demand by the woodworking industry including brand name functional & decorative hardware, veneers, sinks, core materials, adhesives, abrasives, shop supplies, finishing products, and power tools. We are proud to be your source for cabinet and furniture manufacturing products.